October is Men's Health annual "Guide To Style issue". 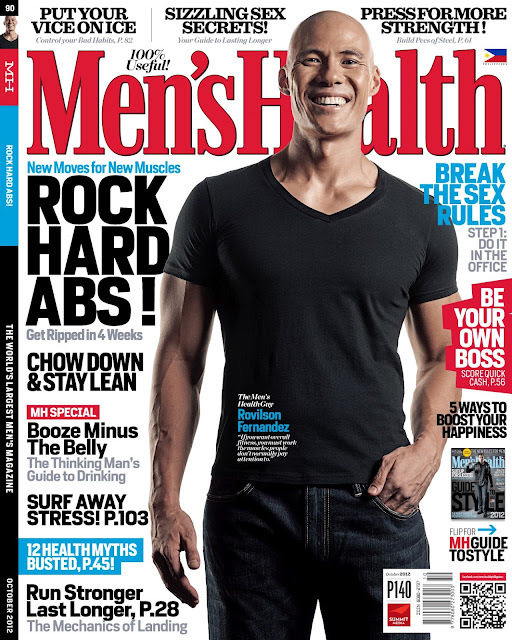 GMA News TV's "Ang Pinaka" host Rovilson Fernandez graces its cover while the rock icon Bamboo is on the flip cover. 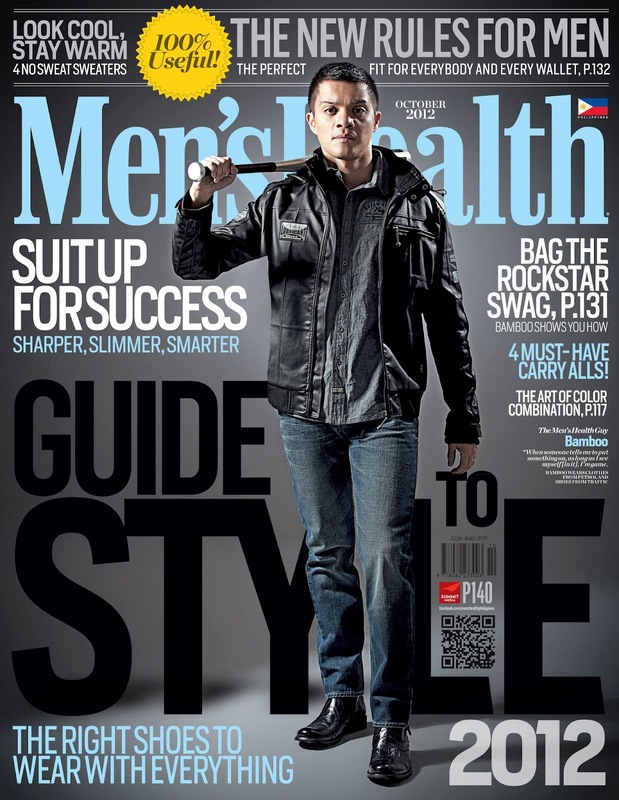 This month's issue of Men's Health Philippines magazine is packed with tons of useful tips! Other features in the Guide to Style 2012 include suiting up for success, picking the right shoes for everything, and the art of color combination. Grab your copy of the latest issue of Men's Health and help your body fit! Available nationwide for only P140. 1. The race is open to both men and women aged 18 and above. It's on October 14, 2012. 2. Registration is still open though slots are limited. Check the picture for our DESIGNATED REGISTRATION CENTERS. THERE IS NO ONLINE REGISTRATION. We have 5, 10, and 21 K categories. 3. ALL FINISHERS will get a shirt and medal. Singlets are given upon registration. So are you ready to take on the most challenging course yet?